On the cusp of autumn and winter, November is a month for warming spicy reds, maybe still with a bit of autumnal mellow fruitfulness. 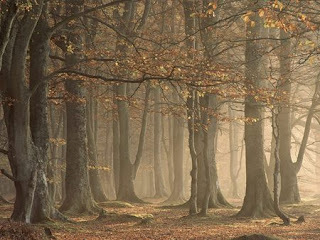 Bright days after clear nights bring misty mornings with a watery sun hanging low in the sky, golden russet hues and the season for gamey dishes. This month we have a good range of reds to cover all seasonal eventualities, plus a wine for drinking out with a brilliant food match. Originally from Burgundy, Pinot has made a second home for itself in Chile – this Turi Pinot Noir from the Central Valley which benefits from cooling sea breezes that favour the development of Pinot. It is distinctly Burgundian on the nose with vegetal aromas, truffleyness and soft red fruits; there are more ripe juicy red fruits on the palate with savoury spiciness and mushroomy, farmyardy aromas. The texture is soft and delicate – it feels elegant and pretty with a balanced, gentle finish. Match with salmon, mushroomy pasta or lighter game dishes. From an estate in Montalcino, this non-vintage wine (a blend of several years) is made from the Sangiovese grape, known locally as Brunello. It is reddish in the glass showing signs of age. On the nose there is red fruit and woodsy undergrowth. The palate shows good ripe cherry and red fruit, aromas of undergrowth and some liquorice and spice; the acidity feels juicy and mouthwatering, soft, harmonious tannins and a savoury, persistent finish. It feels very accomplished and well-made indeed, with the mellowness of a few years’ age. Jancis Robinson also rates this wine and made an earlier version her wine of the week, describing it as a baby Brunello di Montalcino at a fraction of the price … with a hint of the warmth of this corner of south-eastern Tuscany – much lusher than the average Chianti – but without any excesses of oak or alcohol. In France, Carignan is traditionally a southern workhorse grape, but old-vine examples can produce great results. From Corbieres, this Carignan (mixed with a splash of Grenache and Syrah) is a deep cherry red in the glass. On the nose, there are aromas of cherry fruit and hints of green herbs, muskiness and spice. The palate is warming and spicy with ripe, slightly cooked, damson and red and black cherry fruit, some aromatic notes, savouriness and a softly mouthfilling texture. The acidity is juicy yet rounded and there is some gentle grip on the finish. From Spain’s Ribera del Duero, this young crianza (just three months in oak) is made from 100% tempranillo; dark inky purple in the glass, on the nose there is lots of dark berry fruit and oaky spice. The palate is ripe with brambly fruit, sweet vanilla, full with soft tannins and juicy acidity with a peppery grippiness developing. It feels quite up-front and youthful, but with air, some more secondary, truffley aromas develop. Match with roast lamb or a beef stew. This unusual Uruguayan red is made by boutique winery Marichal from hand-harvested Tannat; originally from France, Tannat is now Uruguay’s most prominent grape. A deep cherry red in the glass, there are aromas of dark berry fruit and spice on the nose. The palate is soft-yet-full with ripe dark fruit, gentle tannins and good acidity; there is some complex dark chocolateyness, hints of liquorice and Christmassy spice with a persistent, savoury finish. An elegant food wine, the hotel recommends matching this with their Monkfish Grand-mere, garnished with pearl onions, pancetta and wild mushrooms. These are, as ever, all very good wines. The most unusual is the Uruguayan Tannat from Hotel du Vin which is definitely worth trying for the dinner-party bragging rights alone. 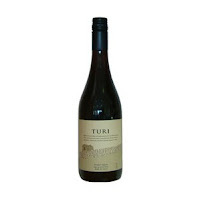 But my recommended wine this month is the Turi Pinot Noir – a well-made, New World Burgundian-style Pinot with good balance and a soft texture for well under a tenner is quite special indeed. © 2012 – 2013, City Connect News. Copyright Notice & Disclaimer are below.